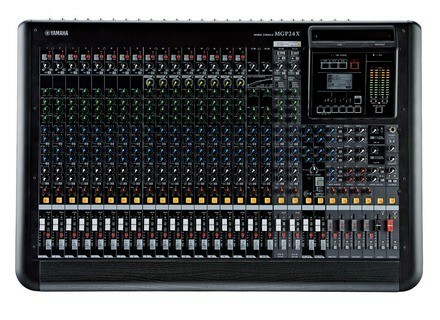 MGP24X, Analog Mixer from Yamaha. Both new Yamaha MGP consoles offer more channels than their siblings and include three new digital features: direct USB recording and playback, graphic EQ with sweepable mids and a multiband compressor. Both MGP24X and MGP32X consoles are equipped with Class A D-PRE mic preamps, which use a reversed Darlington circuit, and a phantom power. Also present are AD/DA converters, a stereo Hybrid channel and two effect processors: the REV-X reverb with three algorithms, and the SPX digital processor with 16 effects. You'll also find a 31-band graphic EQ for the stereo bus, as well as two 14-band and Flex9 GEQ modes. Regarding the compressor section, you'll be able to assign a single band or three-band compressor to the stereo bus. Three presets, each with 5 user programs, are assigned to the stereo bus. Last, each mixer is equipped with two USB ports, one dedicated to direct recording and playback to/from a USB device, and the other for iOS device. Note that the free Yamaha MGP Editor iOS app has been updated, it allows for remote controlling each effect, the Hybrid channel, the graphic EQ and the master compressor. The MGP24X features 16 mic inputs with phantom power and HPF per channel, 24 line inputs (16 mono and 4 stereo), 6 aux sends and 2 effect sends, 4 groups and one ST busses, 2 Matrix and one mono outputs. 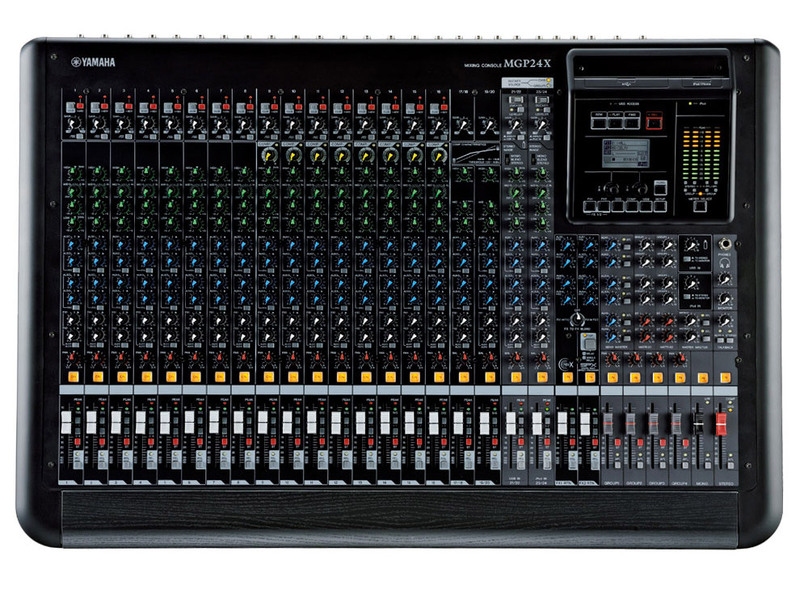 The MGP32X offers 24 mic inputs, 32 line inputs (24 mono and 4 stereo), 6 aux and 2 effect sends, 6 group and one ST busses, 2 Matrix and one mono outputs. [Musikmesse] Yamaha Pocketrak PR7 Yamaha introduces at Musikmesse the new PR7 version of its Pocketrak pocket recorder, which is equipped with XY stereo microphones. [Musikmesse] New RME routers and converters RME Audio showcases at Musikmesse until saturday three new ADAT, MADI and AES3 routers as well as two ADAT and AES digital converters. [Musikmesse] Cloud Microphones Cloudlifter CL-Z Cloud Microphones showcases at Musikmesse the new version of their Mic Activator Cloudlifter CL-Z box.